2012- Compiled and edited by Carey Michael Kish. The new 10th edition of this comprehensive hiking guide to the Pine Tree State. 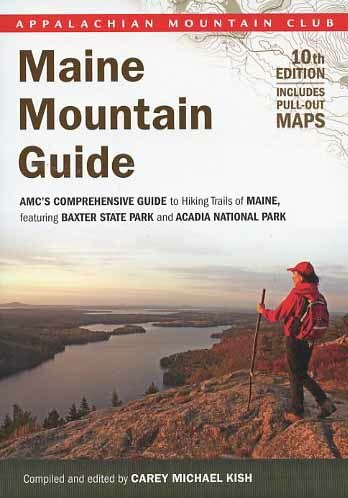 This updated and greatly expanded guidebook features more than 450 detailed trail descriptions, including 200 new trails. Coverage includes Baxter State Park, Acadia National Park, the 100-Mile Wilderness, the Rangeley Lakes region, and much more. Book also includes seven full-color, GPS-rendered pull-out trail maps with segment mileage. Softcover. 402 pp.